This is how the packaging of my calendar looks like! Today I added it to the shop.You can get all the details about it in there. This is how it looks on my cork bulletin board. 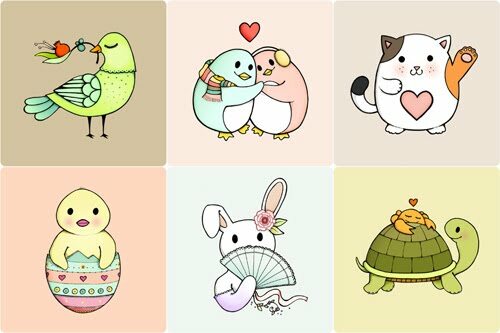 These are the illustrations for January to June. Congrats on finishing up! I love the illustrations...will you have separate prints available!?! Yay gald you finished your beautiful calendar! Each of your art work is sooo gorgeous! Your packaging is always soo lovely and sweet! My fav would be moth of feb and dec. Have a lovely merry happy day and love to yoU! Yayy! Such a sweet calendar, Afi! Lovely packaging too. It turned out wonderful! I read a bit about the printer you use, and now I understand how you produce such amazing printed items. I think it is too expensive for me (and an overkill too). I wonder if they have a cheaper model which will suit my needs, and still be so much better than your ordinary cannon/HP printer. Wow, they are crazy cute all together! 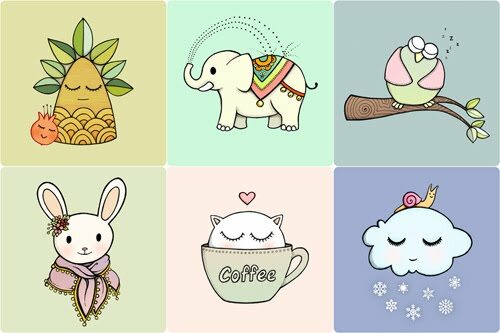 Your calendar illos are lovely! I really like your packaging for it too. Well done! Thanks for the suggestion on my painting Rosalie Joo Joo! I was thinking the same thing. Your calendar is addoowwabble!! And I's such a sucker for cute packaging. Its all gorgeous! Cristina: Thank you so much Cristina! Thank you for letting me know! 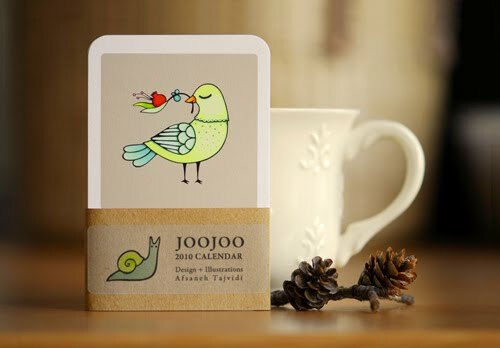 :) I have actually submitted my calendar to Decor8 blog! I still have some snails in my Etsy shop, do you mean the magnets? 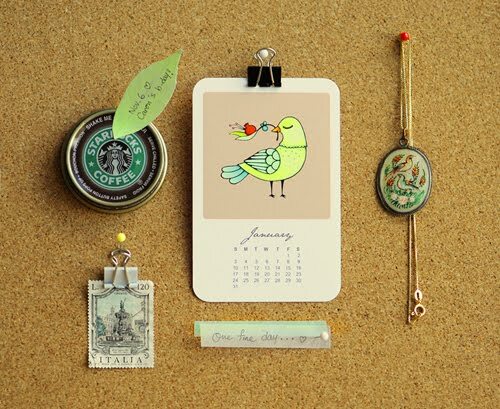 Your calendar is really cute ! It's the first time I'm visiting your blog and that's a really pleasant visit ! I'm going to add your blog to my favourite websites ! I love your calendar!! Also LOVE the great creative idea of framing the illustrations later when the year is done. Just featured you in my blog. Hope you'll like the mention.